Reaching consumers with personalised marketing and relevant messaging is clearly the holy grail in advertising. But staying on top of the trends and changes across the industry are not just important to the advertisers and agencies, but also the companies that serve them. Ric Elert (pictured below), president, Conversant, explains how focusing on the right type of consumer, as well as addressing industry issues around measurement, messaging, and data portability will be the key to everyone’s success. 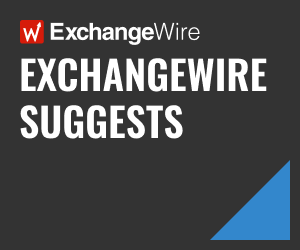 ExchangeWire: What does Conversant do and how has the company evolved over time? 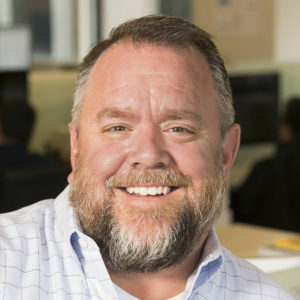 Ric Elert: In 2009, when we set out to build Conversant, our goal was to create an industry-leading, end-to-end platform that delivers true one-to-one messaging at scale, across every platform, to drive consumer spend. Today, as the digital media arm of Epsilon, we have delivered upon that promise. Our cross-device reach and rich consumer profiles are leading the industry; so when our clients communicate with their consumers, it’s in the most authentic way possible. Our end-to-end platform doesn’t rely on outside DSPs and DMPs, which run the risk of data leakage. We can buy media on our own private exchange, reach consumers across their devices with messages that are relevant and unique to each individual, and measure the impact of those messages so our model can learn and evolve. We work with our clients to create lasting relationships with their most valuable consumers, meaning messages evolve over time as consumers’ needs change. We ensure continuity of voice across channels, measuring incremental returns we get in real time so that we can make changes on the fly. We are completely transparent with our clients and deliver healthy returns for them, while sharing performance and spend results. Are digital marketers leaving money on the table by overlooking their existing clientele? If so, how? We believe there are two type of consumers: buyers or prospects. 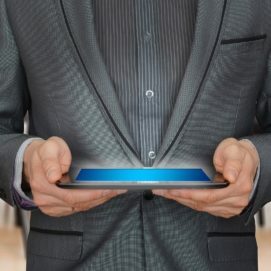 When digital marketers leave money on the table, it’s because they’re overlooking their existing buyers and spending too much time and money going after prospects. All too often, we see brands that are aggressively pursuing acquisitions; they feel from the outset that this is easier because you don’t necessarily have to identify individuals. However, if you have strong identification and reach and go after those who have said “yes” to a brand, that brand has an easier time making a connection for a repeat purchase. It’s like going to the same restaurant. If you find something you like, you’ll go again versus taking a risk by trying something new. When marketers put a majority of their focus on prospects, they don’t see the returns they expect because finding the right individuals for your brand can be difficult. How can companies improve cross-device marketing efforts, and why has it been so difficult to get it right? Getting cross-device right comes down to two things: where you’re starting from and the ability to scale. Those are arguably the two biggest limiting factors for a lot of companies. Far too many still rely on cookies, meaning their ability to match consumers to their devices is already flawed. Using an IP address or email address isn’t a great starting point either, as both lack stability. So right out of the gate, companies using any methodology that doesn’t yield stable recognition and identification are already behind when it comes to cross-device. When you layer in the need for scale is when you really start to see fractures in the system at a high rate. Successful cross-device marketing is about recognising and reaching the right individuals with messages in the moments that matter most to them – and doing it at scale. As you ingest more and more data, your ability to do this should only improve over time. Otherwise, you’re going to definitely hit a plateau. How can companies position themselves for success amidst all the consolidation going on in the industry? Digital media and ad tech companies have to become more adept at preventing data leakage. We’ve seen a tremendous amount of loss when companies are handing off data and trying to keep consumer profiles intact across multiple vendors. Unfortunately, drop-off can be as high as 60-70%. While the consortiums are trying to solve for this, they will only get so far, and it’s not going to help the industry’s quest for a universal ID. Consolidation really is the one way to definitively prevent loss at this level. Partnerships are also key, and they have to benefit all parties involved. You don’t have to give up your company’s secret sauce to identify opportunities for both organisations to be successful and work well together. Especially when you work with a partner that’s trying to gain an advantage in the space. We often see this from newer players. Ad fraud is still going on, and blockchain has become the next hot topic to tackle this issue. Why should, or shouldn’t, marketers be paying attention to this trend? Many of the conversations surrounding blockchain are predominantly hype. Yes, any discussion around fraud reduction is important – and we should be having those conversations – but we’ve been committed to eliminating fraud from the beginning. We’ve done so by focusing on reaching real people – not cookies – and looking at consumer transactions. If we message someone repeatedly and they haven’t purchased from the brand in that time, something’s not right. Blockchain is window dressing. The quality of any type of shared data or information is only as good as the lowest common denominator, which will end up being the type of demographic dataset that you’d get anywhere. What are the top challenges the industry still faces, and how does Conversant plan on tackling these? We are continually looking for ways to improve our offerings across each of our four pillars: Recognition & Reach, Individualized Profiles, Decisioning & Delivery, and Measurement & Insights. In terms of measurement, we’re developing products and capabilities for our clients that give them greater visibility into the effectiveness of their marketing. We’ve always focused on driving incremental return on ad spend; so, while we continue to drive out fraud and waste (via reach overlap, etc.) we also want our clients to be able to ‘feel’ those efforts. That starts with making sure they have more insight into the work that is being done on their behalf via toolsets that include cross-device attribution, media overlap reporting, and more. When it comes to making sure our clients’ messages reach their consumers, we’re expanding the touchpoints at which our clients can reach their consumers. Key to any relationship – whether it’s brand-to-consumer or person-to-person – is continuity of voice. You have to pick up the conversation right where you left off, so we’re expanding our touchpoints and our ability to reach consumers across their devices in channels including SMS, email, video, and TV (via OTT and smart TV). Finally, our clients are increasingly asking for data portability, so we’re working on a new offering that will allow them to do just that.